This coming Sunday, it will have been three weeks since I crossed the finish line at Musselman. My immediate thought was that I was really looking forward to hanging out, exercising whenever and in whatever form I liked and giving myself ample time to recover from training/race season before starting to think about next season. It took me about 72 hours before I was online, searching for my next race. 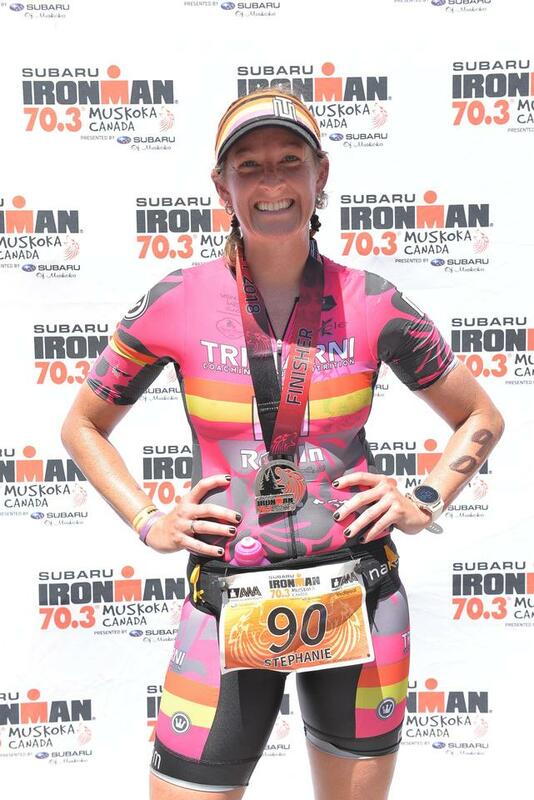 Given the recent heatwave and stories that I have heard from triathletes who have struggled through sweltering swims, bikes and runs, (including Steph), I decided that August would not be a very fun month to race. I also will be gone for a large part of September (email us if you want to do a guest post! ), so realistically it won’t be until November that I will feel ready to race again. I jumped the gun and signed up for The National 1/2 Marathon next March as well as the Hot Chocolate 15K in December, but am still in the process of choosing which races I want to run between now and next triathlon season. I really want to focus on my 1/2 marathon this coming year! I realized as I was searching that there are TONS of race finder websites. I imagine that I am not the only one in the process of picking Fall/Winter races, so thought I would share some of my finds with you! Whether you are planning your first 5k, your first Ironman or your 15th marathon, these are a great group of websites with race events as well as training plans, nutrition information and other helpful resources. Question of the Day: Are you already planning your Fall/Winter Races? Are you an old hat at this or are you gearing up for your first race? Any race sites to add? August is a fine time for open water swimming. Join us for a 5k on August 28. I love looking up races while I’m bored, but can’t sing up for any next year until I get my gymnastics meet schedule. Their meets last all weekend and seems to always be on a weekend I want to race. I think that 15K will end up being a big blogger get together! Thanks for posting those sites – I need to bookmark a few of them! I bit the bullet and signed up for the Rock n Roll 1/2 marathon already, too. The $60 price tag was too good to pass up for a Rock n Roll event. This will only be my second 1/2 and my first Rock n Roll race – I’m excited! I’m still debating signing up for the Hot Chocolate races – not sure if I want to do the 15K or the 5K at that point. Running in December sounds so cold! (I’m originally from Florida…). Searching for new races is fun, but dangerous for the credit card (at least in my case). The only problem is that there is a Journey concert on the 28th haha. And I am DEF going to that! I’m also doing the HC 15K and I know of at least 4 other bloggers who will also be there. It’s going to be huge!